Sometimes animals show up in our lives when we need them most, and other times when they need us. Franklin, aka Fran, is one such dog who needed to know that good humans do exist. Elizabeth B. walked into the shelter on the right day. She changed his life, he changed hers, forever. The rest is a Tripawd Tuesday love story. 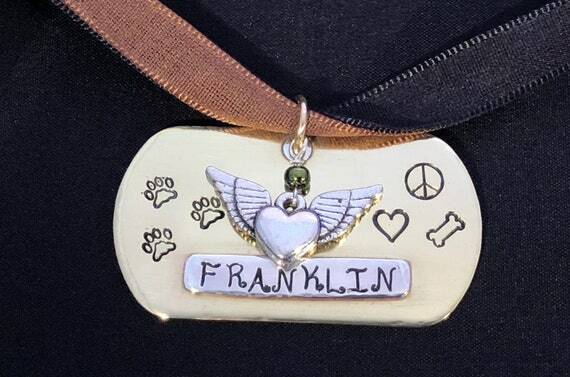 Franklin got his wings last month, but he left this earth reassured that he was loved and treasured. Here is his story. We adopted Franklin on New Year’s Day 2016. He was 7 months old and severely abused with a shattered hip and broken front elbow. 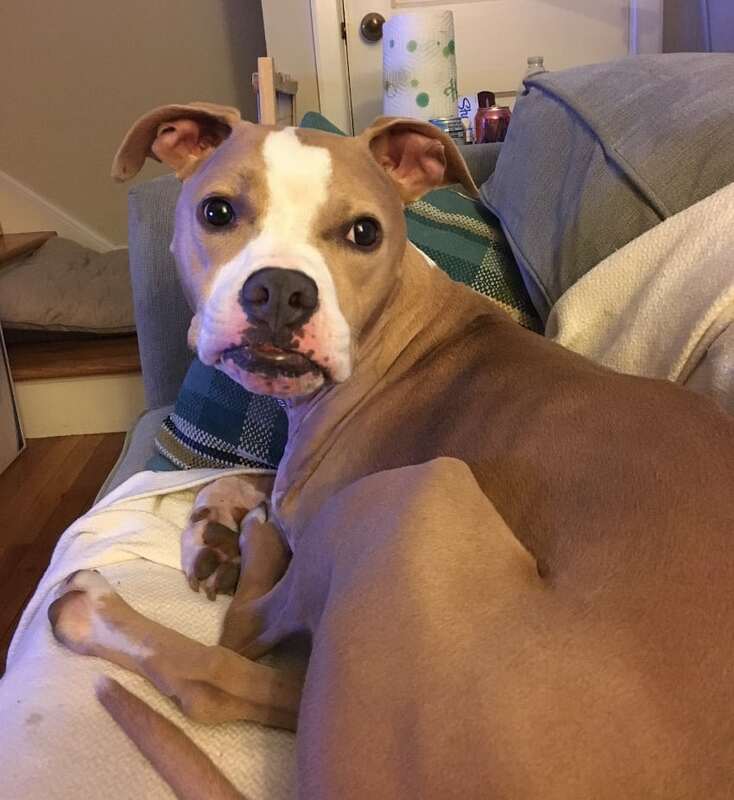 Because he was a pit bull and because he was such a mess the shelter was hesitant to show us him and told us that if at any point we changed our minds that they understood and would take him back but from the second i saw him he was mine. After a few surgeries to try to save the front leg he wound up having a full amputation. He was the craziest dog. We tried a bunch of nick names like Frankie, Frank, etc but he was 100% a Fran. If you met him for more than a minute you’d immediately understand, he’s totally a Fran. He loved to play fetch with his favorite purple toy. He had a lot of anxiety issues and was over protective of our other dog Loki which made it really hard to take him anywhere. He was an amazing dog at home but a beast out in public. 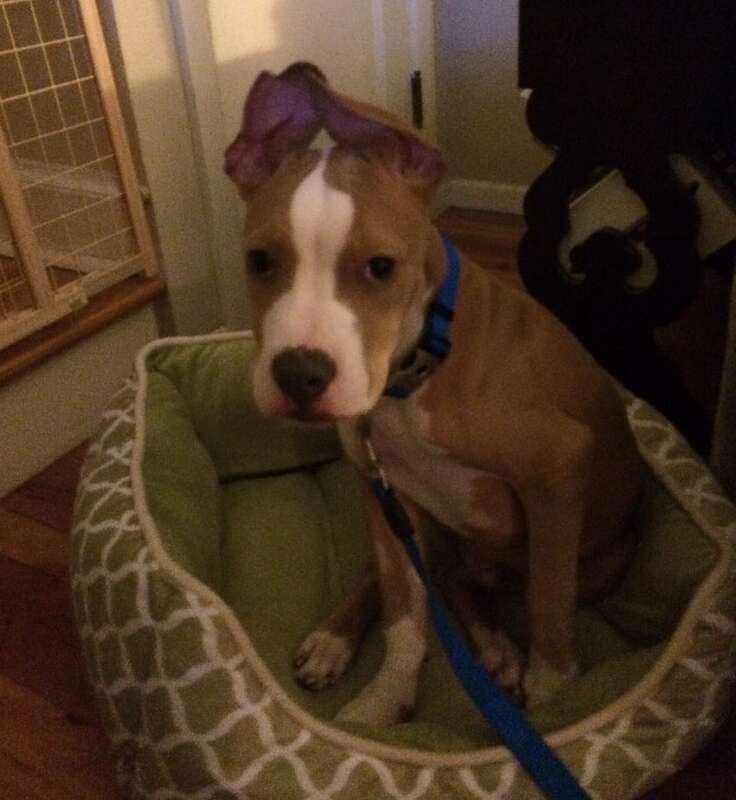 We consulted with vets, took the basic puppy classes 3 times in a row and even went to a dog psychic to try and help him with his anxiety but no luck. So we renovated our entire backyard to accommodate him so that we could keep him happy at home. In a freak accident while playing fetch with his favorite purple toy he impaled himself in the back of the throat with a stick and over the past 10 months had 5 surgeries to repair a reoccurring, rupturing abscess in his throat/neck as a result of the puncture. Unfortunately we exhausted all of the medication and surgical options and on Tuesday, September 4th we had to put him down as his abscess returned and ruptured for the 5th time. When I say Fran was the best dog I mean THE BEST dog. He had the hardest life and suffered so much in his short 3 years of life but he was our sweet baby boy. Even though he was a tough cookie everyone who met him immediately fell in love with him. Every single vet, vet tech, receptionist, etc at our vet loved him. I think they cried just as much as we did when we made the hard decision to have him put down. Whatever we were doing around the house be needed to be part of. He wanted to be close to us every minute of the day. Fran was the kind of dog who would play until he couldn’t stand any more if we were outside or spend the entire day snuggled in bed if we were being lazy. Whatever he did he did with his whole being. He always needed to be covered up in his blanket in our bed. He was the loudest snorer. He had the softest velvety fur and the sweetest, goofiest face. When we had our son last year Franklin immediately became his protector. I would always tell people that Benny (our son) is not my baby, he’s Fran’s baby. He was such an amazing dog. We were so lucky to have him in our life even if it was only for a short time. Too short of a time. The whole “who rescued who” is so true in our case. He changed our lives so much. I dont think anything I could ever write about him would ever do justice to how amazing he was.